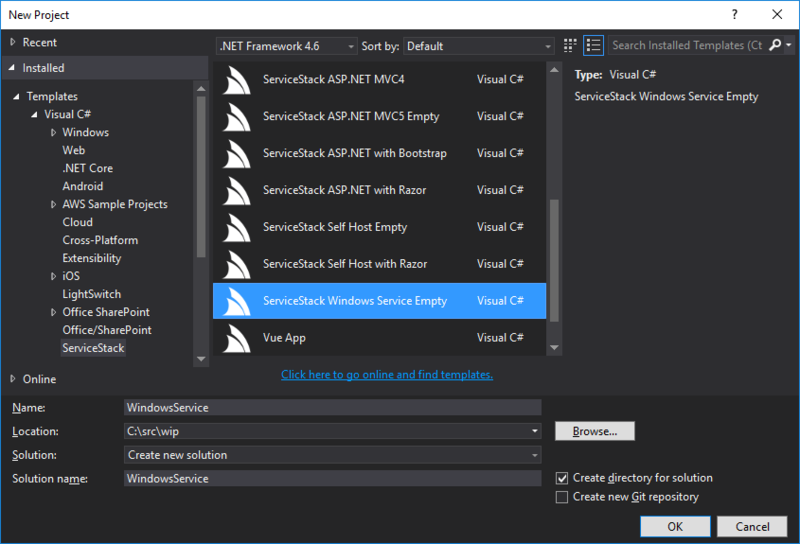 The Windows Service Template makes it super easy to create and install self-hosted ServiceStack solutions running within vanilla Windows Services without needing to rely on any additional 3rd Party packages or dependencies. To improve the development experience, the Windows Service Template includes a “Debug Mode” where DEBUG builds are run as a Console Application - improving developer iteration times and debugging experience. Also included are install.bat, uninstall.bat, start.bat and stop.bat Batch Scripts which lets you easily install and run your project as a local Windows Service.